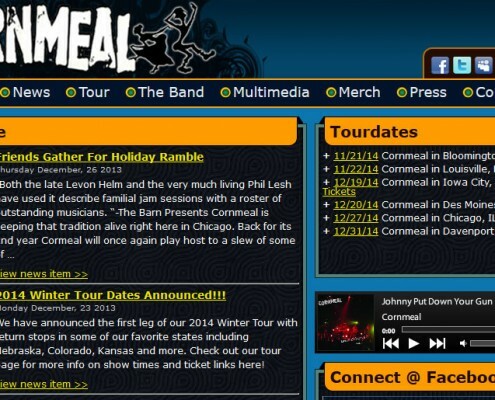 Cornmeal is heavily influenced by American roots and folk music and seamlessly blends lightning fast tempos and impeccable harmonies into an unrivaled live performance that continues to expand upon the five-piece acoustic-electric groups’ vast musical repertoire. 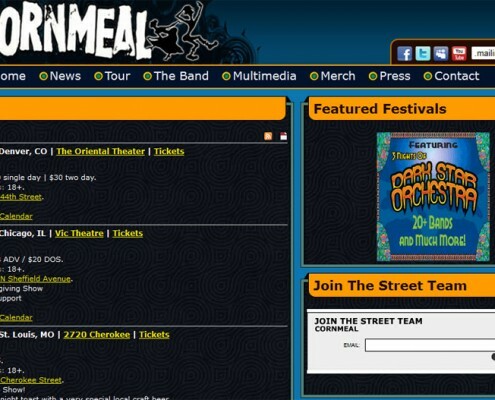 While steeped in the tradition of the past, Cornmeal continues to forge a path all their own, pushing the boundaries of bluegrass, Americana and folk for a whole new generation of music lovers. 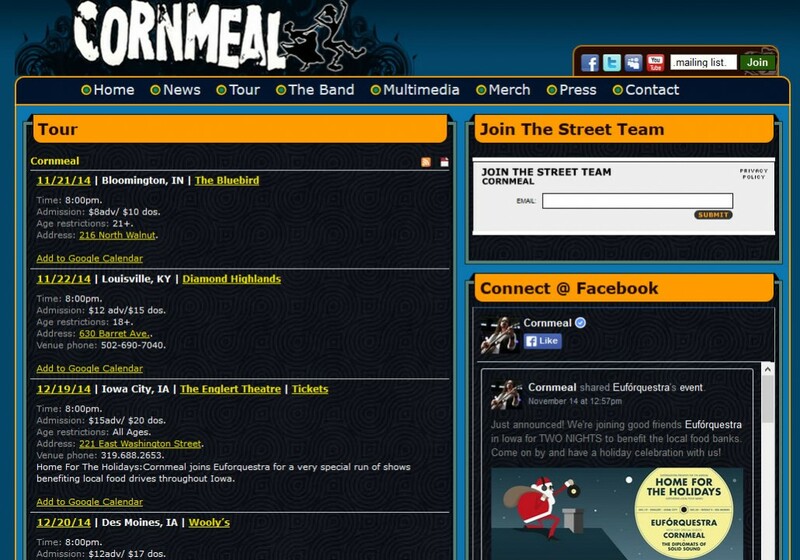 With a growing fan base and ever-evolving sound, Cornmeal challenges the recipe of bluegrass and live performance. 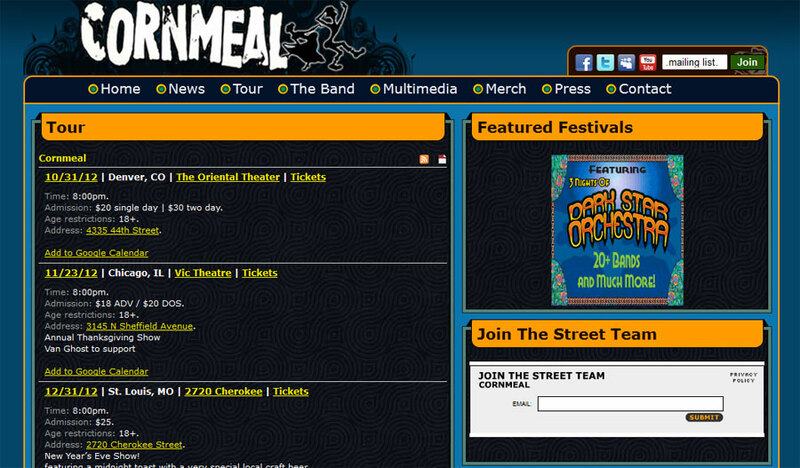 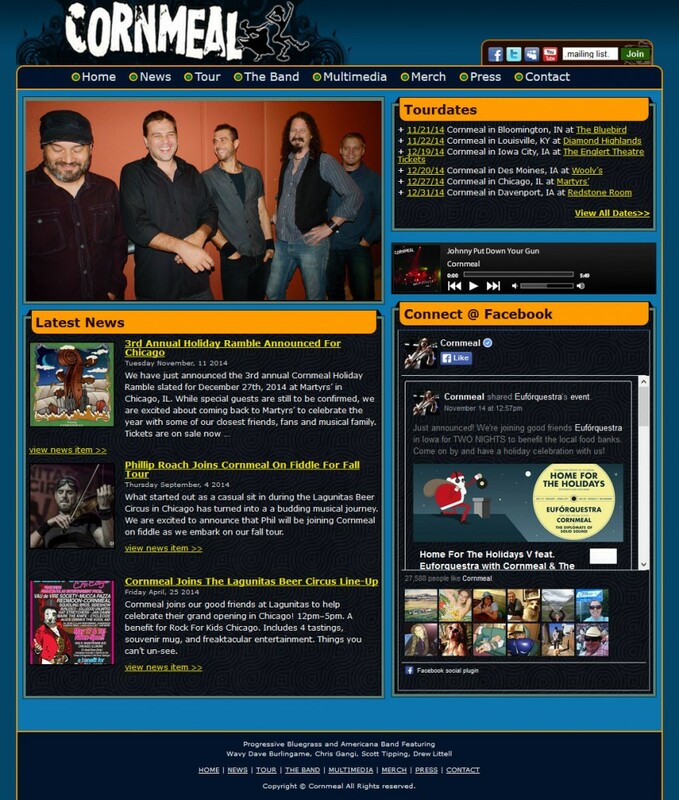 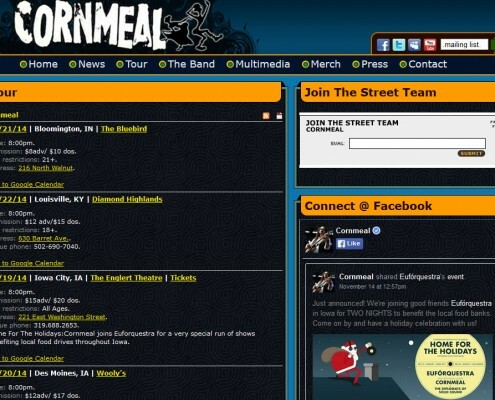 Atomic6 designed and devloped an easy to update website for Cornmeal, allowing the band and manage to easily update the site. 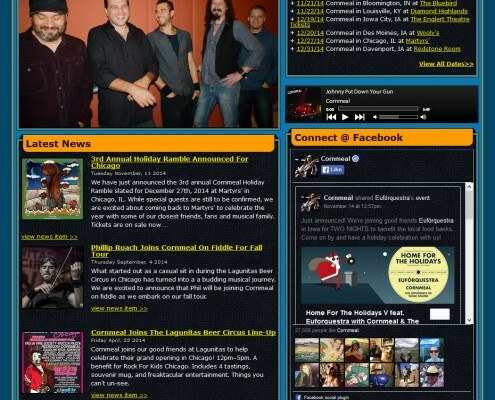 Features include audio player, video player, galleries and more.